TVS Motor Company has rolled out a Special Edition of the TVS Sport motorcycle for the festive season in the country at a price of Rs 40,088 (ex-showroom, Delhi). The 2018 TVS Sport Special Edition has features including a longer seat and a wider pillion handle. Further, the motorcycle also sports new decals giving it a sharper and bolder look, coupled with stylised side-view mirrors and a premium 3D logo. 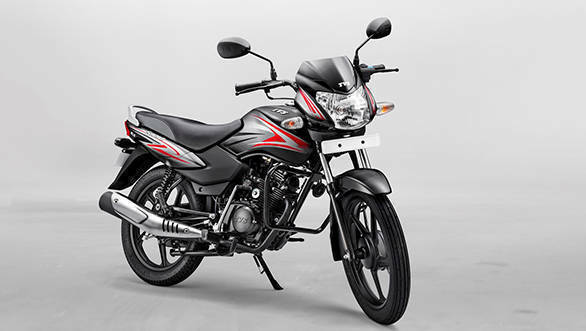 The TVS Sport Special Edition also comes with optional Synchronised Braking Technology (SBT), making it the first 100cc motorcycle to offer this safety feature. The special edition continues to be powered by the same 99.7cc air-cooled single as the standard TVS Sport. The engine is good for 7.5PS and 7.8Nm. This is mated to a four-speed transmission. 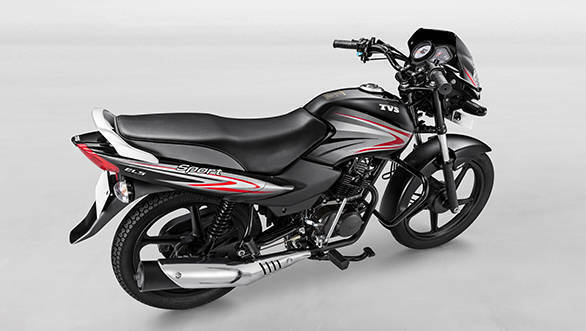 TVS claims a fuel consumption figure of 95 kmpl for the Sport. Suspension duties are handled by conventional telescopic forks up front along with twin spring shock absorbers at the rear. Brakes on the TVS Sport are a 130mm drum brake at the front along with a 110mm drum brake at the rear.The bike gets eco and power mode indicator in the instrument cluster for the rider to manage fuel consumption better. The Sport also features all-gear electric start, aluminium grab rail, chrome muffler guard and a sporty instrument cluster. The Special Edition will be available in electric start and kickstart alloy wheel variants, in two colour schemes  black with red-silver decals and black with blue-silver decals.